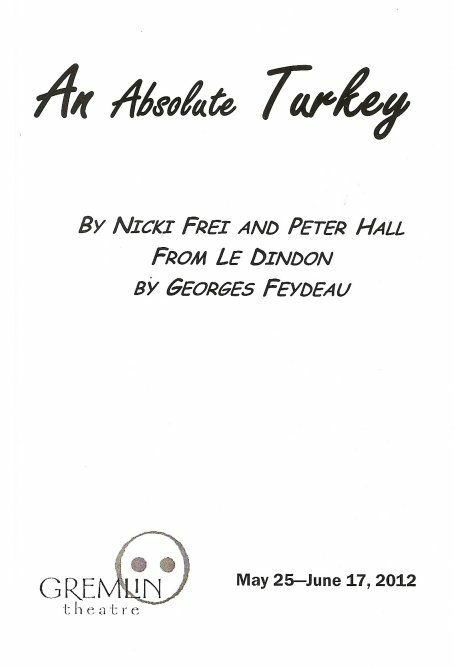 An Absolute Turkey is a hilarious farce of a play, complete with mistaken identities, physical comedy, a humming war, and campy over-the-top emotions. It’s quite a change from Gremlin Theatre’s last play, the quiet and lovely long distance romance Sea Marks, but a nice change that shows the versatility of the theater. 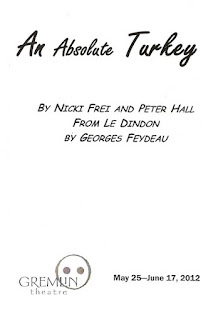 An Absolute Turkey is set in Paris sometime in the past. The plot is too complicated to even try to explain. Basically, it’s about a bunch of people trying to have affairs, or hiding affairs, or exposing affairs, or promising to have an affair if they catch their spouse having an affair, all while declaring their love or hate for each other in grand demonstrative ways. The cast is strong from top to bottom, and is clearly having a blast playing together. Sara Richardson best captures the spirit of the piece in campy style, with her clear enunciation, exaggerated facial expressions, and over-sized gestures. She’s having great fun with this, and it’s great fun to watch her. Also fun to watch are Peter Christian Hansen (Artistic Director of the Gremlin) as the suave single man (who spends quite a bit of time rolling around on the floor) that the married women understandably plan to have an affair with if they ever catch their husbands cheating; Ryan Lindberg as the relentless womanizer hiding his many affairs from his wife; Katharine Moeller as the lusty Swiss woman in braids and a dirndl, come to Paris to find her lover; and Peter Ooley as her large and threatening husband. (They even throw in a little German, which is always fun for me.) 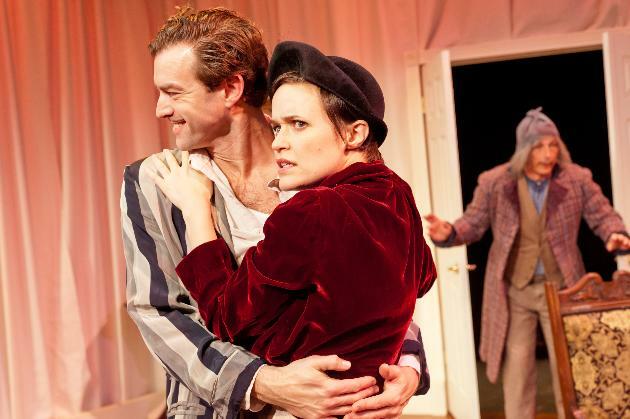 The cast is very adept at the physical comedy of the piece, of which there is plenty.